I have always viewed the idea that Dravidian languages were predominant once and the arrival of vedic speakers completely altered the linguistic map – so much that Dravidian languages almost completely disappeared from North India and confined to south India. Witzel brings forward as a possibility the theory of ‘Elite kit’ by Ehret . i.e. Relatively small population of immigrating Vedic speakers established themselves as elite and quickly all the rest of the population copied them in rituals, religion, language, mythos and legends. To be it is a bit dodgy. If the Dravidian languages completely vanished over North India why it did not happen in south India where Dravidian languages are intact and thriving. Witzel theory also posits Vedic speakers coming to India i..e Northwest India as transhumance herders . i.e. a group of herders from Afghanistan and to the north lost their way in their movements and accidentally entered India . If the remnant population of IVC were Dravidian speakers , why should they take these transhumance herders as elite and give up their ancestral language and ways completely. If the Dravidian languages completely vanished over North India why it did not happen in south India where Dravidian languages are intact and thriving. It’s hard to say, but there are related examples in other parts of the world. The Basque language still survives in a corner of Spain, as does the Finnish language in a part of Northern Europe. Perhaps the Aryan “invaders” just ran out of steam after conquering and settling the Gangetic belt (which is easier to conquer than the Deccan.) Wouldn’t be the first time; the Khiljis and the Mughals had issues maintaining their conquests of the South too. But somehow, culture (as in religious practices and customs) still managed to spread. Invaders must be given up , quotes or no quotes. Ehret’s Elite kit works by voluntary adoption , not ramming down the throats of hapless populations by invaders. Even completely subjugated populations have overcome military conquistadors – Mongols , the steppe horsemen, were completely absorbed by Persia and China respectively , even though Mongols destroyed the Caliphate and wreaked havoc among Persian and Arab populations in the Middle-east as well as China. We don’t have anything remotely resembling that in India -except much later during Muslim periods , which did not result in change of language families . Drawing analogy with Finnish and Basque corners in Indo-european linguistic sea in Europe is just that analogies ,which explain nothing. I wasn’t trying to explain anything, just pointing out that the existence of different language families in close proximity is not that unusual. Language changes produced by wanderlust (or invasion) don’t have to completely obliterate pockets of the older languages. The dynamics can of course vary with scenario. We don’t have anything remotely resembling that in India -except much later during Muslim periods , which did not result in change of language families . Perhaps because the ratio of locals to foreigners was a lot higher than it was during the period when steppe people entered India? Or that the Gangetic belt was so “civilized” that it could be conquered fairly easily once invaders had a foothold in Punjab? The invaders were powerful but spread too thin? Isn’t it possible that the steppe people lingered around in the Indus region for a fairly long time, assimilated well with the remnants of the native population, created the Vedic culture and IA languages, and then spread eastward and southward when their population had reached critical mass? Possible. The question is why assimilation should result in extirpation of putative Dravidian languages and be not like South India. And if Ehret and Indologists like Witzel is to be believed , it takes only a small fraction of population to set off big changes . Yes I’m inclined to the suggestion of Numinous too- though it must be kept in mind that I’m a hopeless amateur in this entire business and that more often than not my idea systems just stem out of air as a result of vagueish connections of the knowledge that I historically and biologically absorb- that the (likely-more-friendly-than-we-imagine) interaction between the first Indo-Aryans and the Punjab Indus village people may have been the key for the Indo-Aryan ethnogenesis and its later success. Pretty much the standard phenomenon. No idea what languages those Punjab villagers were speaking though- Asko Parpola insists that it was Dravidian, Witzel rejects it, many linguists say that the Vedic and the NIA Punjabi retroflexion arise because of a Dravidian influence. But it seems to me that there were at least quite a few language shifts to Indo-Aryan in north India at different times and different places with the funny thing being that the people shifting the language to Indo-Aryan seeming to have been Dravidian speakers quite a few times within that quite a few times when Indo-Aryanisation happened. Or at least theirs was one strong substrate effect (code for poor learning of the target language lol). For example, there seem to be these sudden spurts in Dravidian-like linguistic features in the IA languages. If the Dravidian-as-a-source-for-Vedic-retroflexion-and-other-grammatical-features is considered, that points to an early Dravidian bunch shifting language to Indo-Aryan. Then much much later, seemingly out of nowhere, Dravidian/Dravidian-like features begin to be seen in the Apabhramsha dialects of Sauraseni located in the heart of Indo-Aryan land in Delhi! Now that period is the time when the kingdoms of Karnataka and Tamil Nadu were being imperialistic left and right and maybe those guys transported Kannada and Tamil working class dudes in significant amounts to northern lands? Who later learnt the Indo-Aryan language (poorly) and managed to achieve the lamentation of the good grammarians, even prompting them to formalise the dialects using the term Apabhramsha, ‘displaced’? I don’t know how possible this is though but it seems quite a reasonable hypothesis in my view and has to be taken seriously. I request Slapstik to present the standard scenario regarding the injection of Dravidian-like features in the late stages of the MIA languages, in the event that my thinking presented above is rather erroneous which it very well might be. About the question of the need for the Dravidian/whatever Punjab and other Indus villagers to learn the language of some transhumant people and even shift to it completely, this is THE question behind it all after all! It seems simply unbelievable for us to imagine that people spoke anything but the truly almighty Sanskrit in the olden days when every nook and corner was high-civilised in northwestern India. There may be several explanations attempted- one is that the Punjab villagers were living in a very demoralised state in a cultural vacuum and in thirst of some other new stuff to do which for some reason they were genuinely just not being able to do, and the transhumant people with their strong cultural identity and their attachment to activities like composition of poetry, etc. appealed to the Indus villagers. The other is that the transhumant Rajanya dudes were very warlike and practiced racial apartheid left and right which does not seem a good enough possibility overall (if I’m not wrong, I remember reading that both Indo-Aryan tribes and Dasa tribes fought together in the Battle of Ten Kings against other Indo-Iranian (both Indo-Aryan and Iranian? I’m not sure of this personally) and Dasa tribes as some tribal chiefs on the Sudas’ side had recognisably non-Indo-European-origin names) There may have been some tension between the Indo-Aryans and non-Indo-Aryans though but it was probably nothing more than the normal tribal tension (slightly enhanced because of the recognisably high language differences)- I think this is the case because one standard view which suggests that the Dasa appellation to the non-Indo-Aryans by the Indo-Aryans was a transference of an earlier and contemporary appellation used for some Iranic-speaking tribes in central Asia who were the rivals of the Indo-Aryans there, implies to me that the Indo-Aryans did not put the similar-language-speaking rival Iranics on a different pedestal than the non-Indo-Iranians they newly encountered on the subcontinent. Was this view of mine quite naive and rather cringeworthy? Please point out the problems (which I’m sure will be quite a few) in it to me definitely! So I’m inclined to the first view. For some mumbo-jumbo-like but real reason, the non-Indo-Aryans of the northwestern subcontinent seemed to have immersed themselves rather enthusiastically in the new social situations; they may even have felt quite happy about the new developments. This new culture becomes a second Indus, so to speak, the only difference being the new language and this time successfully completes the (Indo-Europeanised) Indusification of India (the Harappans are considered to have been quite a bit fond of travel and were beginning to show up in eastern, more inner Gangetic India from as early as 2500 BC if Dorian Fuller is to be believed, in addition to their advancements to Gujarat, Maharashtra and parts of Rajasthan, Haryana). Then what about the Brahui; it could be the Dravidians followed the coastal tribal route? I have read in Guns, Germs and Steel that Iron (?) was required to go beyond the Indus Valley to cultivate it. Our base hypothesis has to be that the Brahui migrated northeast from central India circa 1000 CE, when the Dravidians were already long ensconced in southern India. Like the Romani (=European Gypsies) also moved northeast, noncontroversially. No element of the Brahui language is attested in Greek, nor Persian, nor Arabic up to Mas`udi. I do not think it is even noted in Prakrits. If that form of Dravidian was known around the Indus, there were many literate cultures with many curious ethnographers which could have noted it. So, if we propose that protoBrahui existed in any place, we need proof that it was there. If not, we have to default to hypotheses which start out with where and when we know something like it existed. And that`s 1000 CE in central India. they are genetically exactly like the baloch. except less cosmopolitan. But merely the modern presence of a single Dravidian language in the NW of the subcontinent, does not constitute a proof that therefore its existence in the region must be from a pre-Aryan period and therefore the pre-Aryan people of the Northwest must have spoken Dravidian. It is not a proof of anything. If one refuses to consider that the Native languages of the Northwest/North of the subcontinent were Indo-European, we have no proof of any other language-family having ever spoken there. It is all conjecture of the western Indologists. 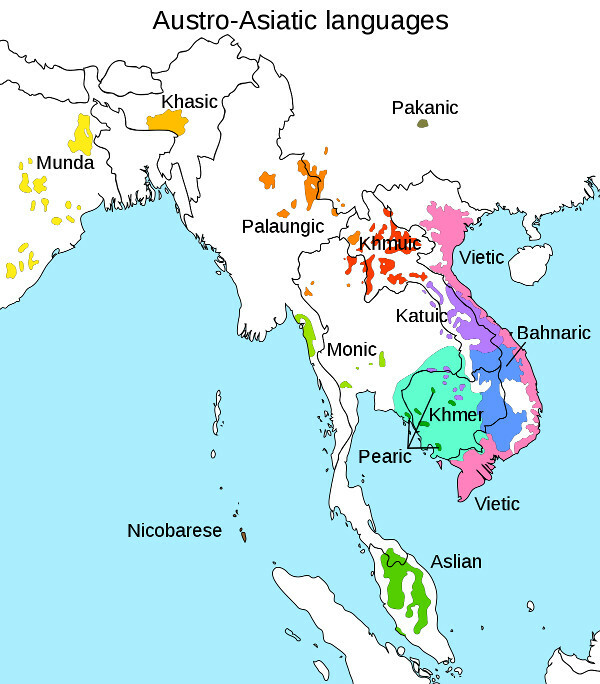 They start from a default premise – that Indo-Aryan languages are not native to South Asia. What is the basis of that premise ? Linguistically you simply cannot prove that the PIE homeland was this place and not that place. And in any case, Johanna Nichols made a very comprehensive case of how Indo-European languages could have spread to the rest of Eurasia from a locus in Bactria-Margiana. Hence, all these assumptions that the Harappans did not speak Indo-Aryan languages and that therefore it must be some other languages is just a wild goose chase. There is just no evidence to prove that there ever was any other language spoken in the Northwest besides the Indo-European. Nor is there any archaeological evidence of intrusion which can be construed as indicative of Indo-Aryan migration. Yet these facts do not hinder the Western Indologists. They sit in their comfortable ivory towers and will pull all stops to only propagate those theories which suit their narrative of South Asia. 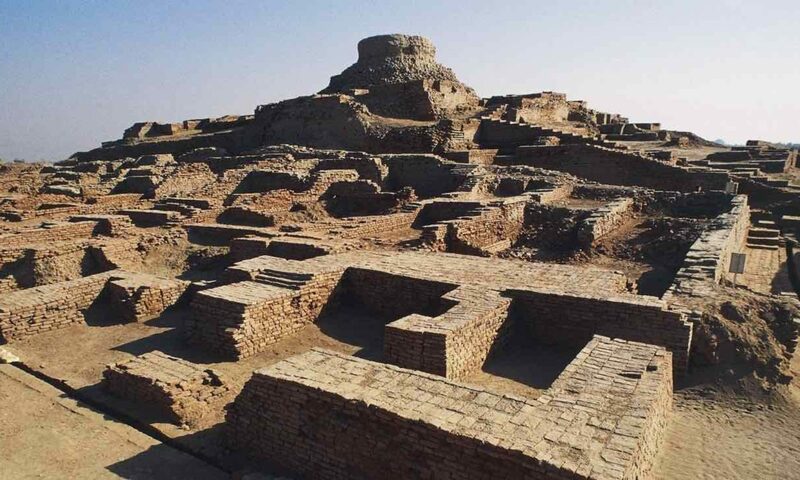 It is clear now that the Harappan Rakhigarhi aDNA is also being manipulated. The Indian geneticists gave the samples to Harvard, signed an agreement and cut off their hands and legs. Now the narrative is totally in the hands of the Harvard folks and I m pretty sure they are in turn under the influence of western Indologists who are driving the narrative. They are using the most low coverage sample from the samples given to them by Indians and using only that to publish the paper. Razib, if you can share your email ID I will go into more detail. I thought the Dravidians were farmers from Iran? LOL. Time for the Dravidian Invasion Theory. But Baluchistan has some very “esoteric” minorities like the Makranis..
Baluchistan also has muslim marathis who were taken as slaves by abdali after the 3rd battle of panipat. Why this search has been going for 200 years and there are no signs that will be finished soon? Because of the missing links in European history. Unless this part is fixed, the dialogs between Western (British/German) and Indian scholars will last forever. Let me make a comparison with Etruscans. For many years various scholars could not uncover their origin and decipher few remaining texts. Etruscans are considered as founders of Western civilisation. They brought aqueducts, arts, buildings, were one of the founders of the city of Rome. Later, Romans conducted genocide on Etruscans and destroyed their texts and every trace of their existence. However, some text plates were found and scholars tried to decipher them. They used 25 different languages and 40 African dialects but without success. But they did not want to use the nearest language and alphabet, Serbian. Having seen the texts, a Serbian priest in Italy started his work to decipher Etruscan texts. It was immediately visible that ancient alphabet was almost identical with modern Serbian (27 out of 30 letters) and with alphabet found in Vinca which is 6-7000 years old. Many words could be read by today’s readers, only from right to left. Moreover, Etruscans called themselves Raseni, what was one of the names for Serbs. The name Rome is also a Serbian word. This priest found that the language is identical with texts on ancient obelisk with written laws, found in Asia Minor close to the city of Serb (Greek: Xhantos) and river Serbica. It was found that Etruscans came as refugees from Lycia, Lydia, Phrygia and the city of Troy where ancient Serbs lived. It was confirmed by genetic research. The book about their texts and language was published in 1985. But, the story still goes on. There are still texts wandering who were these mysterious people, where they came from, what was their language and alphabet, what’s happened with them afterwards. Thank you very much this post as usual! May I ask you when you think Sindh may have ultimately undergone the language shift, which according to your view (unless I read it incorrectly) would have been from Dravidian to Indo-Aryan? Also what is your idea about the sequence of language shifts in Balochistan? Is it something like 1) some Remote Dravidian/some other language first to the Indo-Aryan Pre-Sindhi and then to Balochi&Brahui or 2) (some Remote Dravidian directly giving rise in an in situ manner to the Dravidian language called) Pre-Brahui to Balochi&Brahui? I am just curious about this “Iranian Farmer” population. Any one has any idea how they would have looked? Which modern population is closest in resemblance to them? I believe modern day Iranians have a strong Steppe component in them (the word Iran itself is a variant of Aryan.) So they probably aren’t the best representative of this ancient population. Please forgive my increasingly shameless indulgence on this website when it comes to this type of topics. It is probably quite difficult to know about the look of the ancient mesolithic and neolithic people of Iran because the same reason that you noted for Iran itself (which in addition to the steppe and the native neolithic Iran components also has significant Levant and Anatolia farmer components) is operative for India too. In all parts of India also the neolithic Iran component does not exist in unmixed form. But arguably the Sindhis have one of the highest percentages of this component but they also have some steppe ancestry. In any case, I suppose Sindhis should be somewhat better than many other Indian groups to represent the Iran farmer phenotype though of course not ideal (How about the Mohenjo-daro “Priest-King” dude adorning this website in the top-left corner, J. B. Kripalani, etc.?). Some say that many west Indians and some north Indians and some south Indians may also be harbouring that Iran_N type of a phenotype which seems reasonable given that it is one of the two most important components making the Indian genome, the other being the AASI. 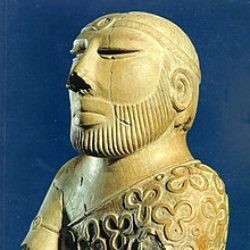 I’m eagerly waiting for the facial reconstruction of the Rakhigarhi individual and he can perhaps shed some light on this question but if his Iran_N component is quite significant. There are no living population similar to Iran_Neolithic people but I would say they Baloch & Baruhi would come close. No, Iranians dont have strong steppe component, they are mostly Iran_Chalcolithic. Central Asians like Tajiks, followed by Kalash and upper caste South Asians. Steppe in Iranians peaks in Zoroastrians & Eastern Iran, but it’s very less in Western Iran (like in South India). modern Iranians are very Iran_Chalcolithic-shifted, that is mostly (Iran_Neolithic + Anatolia_Neolithic) + some steppe. Jaydeepsinh, you’ve been counseling we wait for ancient DNA. now that it’s coming you frankly seem to be flipping out. the data will be public. I have some idea about what’s going on but I cannot discuss it openly. So if you share your email I can let you know a few things. No question Tamil/South Indian and Bengali Brahmins have excelled in the sciences and literature. Do Tamil Brahmins attribute their abilities to Indo-Aryan culture/genetics. Why dont NW Indian Brahmins who have higher components of Indo-Aryan culture/genetics excel even better the South Indian Bengali Brahmins. I propose we stay away from genetics of intelligence and maintain focus on genetics of south Asians. I feel Tamil/South Indian and Bengali Brahmins excelled in the science and literature because they were the first ones to get exposed to during the British times. They were the early beneficiaries of the colleges and labs which were set up in East and South. First movers advantage. It similar to how when the Europeans first showed up the Marathas were willing to learn European-styled drilled infantry which gave them a distinct advantage over rajputs and mughals. As a Tamil brahmin I can say, any success is not attributed to anything ; more religiously inclined may take it as god’s grace, individually not as a caste . Otherwise it is simply taken for granted. More astrologically inclined may attribute successes to advantageous placement of constellations. Tamil/South Indian and Bengali Brahmins excelled in the science and literature because they were the first ones to get exposed to during the British times. They were the early beneficiaries of the colleges and labs which were set up in East and South. First movers advantage. What is intelligence or ability. Really pure Mathematicians/Physicists (not applied math) have no clue about day to day life and momentary decisions; they do live in a different world. Intelligence is judged to be the ability to excel in the modern world, economically or academically. So groups, for whatever reason were first entrants, embrace modern concepts excelled. In Sri Lanka, the Jaffna Tamils are another example. As i said in the subcontinent as long as a community was befitting under british rule, they had no qualms doing their dirty work, but as soon as they were passed on for other communities they suddenly turned “nationlist” , the punjabi muslims and the gorkhas still to the day of Independence remained very pro british.